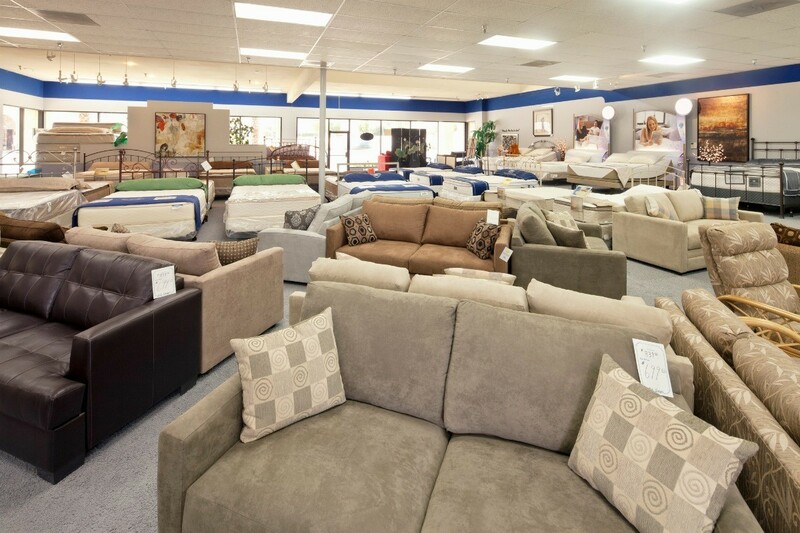 When choosing where to buy your furniture with limited funds, you may find a store within your budget, but may cost you much more in the long run in interest. This is a guide concerning rent to own store reviews. I've heard that rent to own on furniture is not the best thing to do. And I've heard recently that doing this with a house is the best way to go. Has anyone ever done this and is this the best way to go? What tips and advice do you have for someone thinking about it? For me, everything comes down to the total cost to own. Always keep that in perspective. There is interest on rent to own items, and usually, relatively low payments. So they play the same game that credit card companies do. If you have a high interest credit card, you pay double for a lot of the items on it. There is a good chance that you end up paying double what something is worth if you rent to own. So i would not only avoid rent to own, I would also avoid buying large items on credit cards unless you are going to pay them off VERY quickly and the card has a reasonable interest rate. I am pretty sure bankrate.com has an interest calculater that allows you to enter the price of an item, interest rate, monthly payment and it will tell you how much you ACTUALLY end up paying for an item. But I can tell you right now, you'll save a bundle of cash in the long run if you just set up bank account with someone emigrant.com or Ing Direct, and INSTEAD of paying the rent to own company or credit card, put money in that account. Then you will make 4% interest on your payments while you save up to buy whatever your heart desires. Once you have save up the money, go ahead and slap it on a credit card to take advantage of the buyer protection the card has, then pay the whole thing off when you get your first bill. And when you get your furniture home, you can feel good that you payed just for the furniture, and not double, like you will from most rent to own companies. Patience saves you lots, and lots, and lots of money as a consumer. I have never dealt with rent-to-own stores, but I have experience as a property manager. The benefits and drawbacks of renting-to-own depend a great deal upon the current property owners. In most cases, they will work with you on the terms of the lease and sale, but, many also put clauses into the contracts, allowing them to, for example, refuse to sell you the home if you're late on your rent even once, or if you prove to be a troublesome tenant. 99% of the time, the property remains in their name until the terms of the contract are fulfilled, so they can still maintain a reasonable amount of control over the property, just like any other landlord. 1. Be familiar with your credit report and score. All the wonderful references in the world won't make up for large amounts of outstanding debt. Yes, some people will rent to you anyway, and that's wonderful, but you'll have the most success, and be considered for better properties, if your present bills are paid up. For additional help with this, contact a credit counseling service. 2. Know what you can afford. Find out about property taxes, school taxes (if you've moved to a new district), etc. Ask the current owners about average heating costs. If you've moved to a new city or state, check the nearest grocery stores--Are they affordable? Check with your car insurance company--Will your rates increase? How about your renter's insurance? Many landlords require that you have it, nowadays. All these items should be factored in when deciding how much you can afford to pay down, and how much you can afford monthly. Never use the phrase "We'll make it work"; It's not fair to yourself or the owners for you to get in over your head. This is a huge decision; Be honest throught the process, and you'll be much happier in the end. 3. Moving with pets: Since they're still responsibile for the property, many rent-to-own landlords still won't accept pets. If you have pets, but would still like to be considered for a property, bring the current property owners letters of recommendation from your neighbors and vet, that any animals are vaccinated, spayed/neutered, properly cared for, and well-behaved. The current owners will still be in possession of the property and, should you change your mind, they don't want to come back to a home that needs major repairs, or have to hear complaints from neighbors about barking dogs or animal waste. Let them know, from the start, that you are willing to pay a pet deposit, as well as a pet fee each month. Show your responsibility in this matter, and get off to a good start. 4.Ask the current owners for a copy of the most recent home appraisal, and get at least one yourself. Don't rely on the owner's appraisal, especially if it is more than two years old. You want to know EXACTLY what you are getting into, and know whether or not the home is worth, to you, what you will pay for it in the end. Don't stop with only one appraisal, if at all possible; One inspector may notice things that the other doesn't. 5. Research, research, research. The more you know about the home, about the area, and about renting/owning property in general, the better this experience will be. This is a huge commitment, and it is not lessened by the method: You are buying a home. Make sure you're prepared, mentally and financially. Good luck! I hope this helped! You will pay at least twice or sometimes more for the item in the long run. I know I spent 1000.00 for a used old slow computer 5 years ago. Last year when my husband and I got our taxes back we went to circuit city and bought a new computer for 700.00. By the time we got back all the rebates, we only ended up paying 350.00. Its really worth it to wait if you can but sometimes you cant, like with a stove or refrigerator. I used to know a guy who started these stores. He was very rich. The profit premise behind it was to sell to anyone who could sign their name, collect weekly payments, charge penalties, garnish wages, it basically preyed on people who couldn't afford to pay cash for furniture. The full price of the item was often 3 to 4 times what it was retail (and he'd buy them wholesale)and poor quality. By the time the item was paid up, if it ever was, and if it wasn't with garnishment, collections and reposession (with charges for wear and tear), they always made way more than they paid for the items. He would just laugh about it considering his customers suckers. Don't be taken in by these places, it is never worth it. Look for something used instead and save your money until you can pay for what you really want.